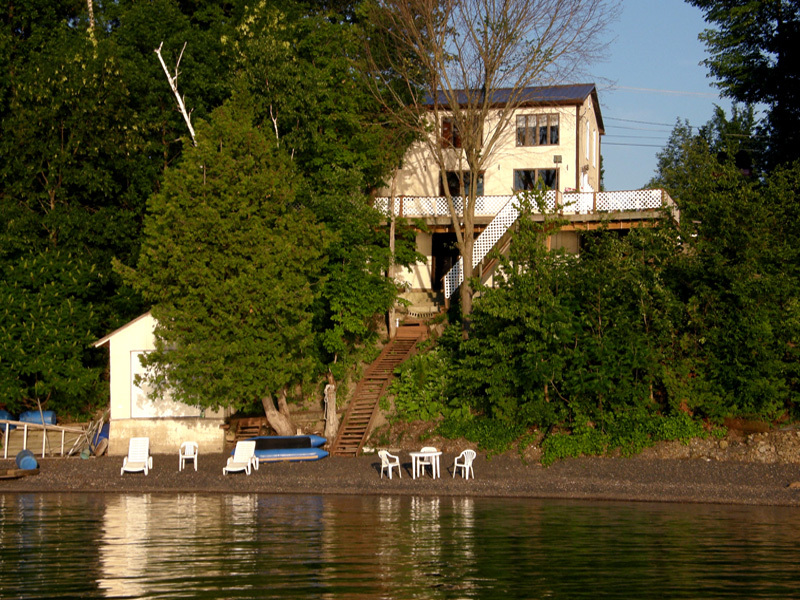 Lake Champlain Home, Beach & Boathouse. Imagine kicking back on the large wrap around deck, Lake Champlain stretching out before you out into Potash Bay and the Adirondacks. A glass of 1987 Chateau Montelena to toast the sunset in one hand, the hand of the one you love in the other, your power and or sail boat moored just off your stony beach & boathouse. The sun about to set, the day's light ebbing, busy day fading. Welcome to 6 Broadview Lane off of Lake Street in Addison, Vermont. This modest, unassuming 3 bedroom home with a detached two car garage (including storage above) is set on a bluff at lake's edge with extraordinary views from the living/family room, the master and second bedrooms, and even from the full unfinished basement. This far north the lake offers plenty of clarity and depth. The deepest point in this 112 mile long lake is 392 feet deep, between Split Rock Point, NY and Thompson's Point, Vermont, fairly close by. 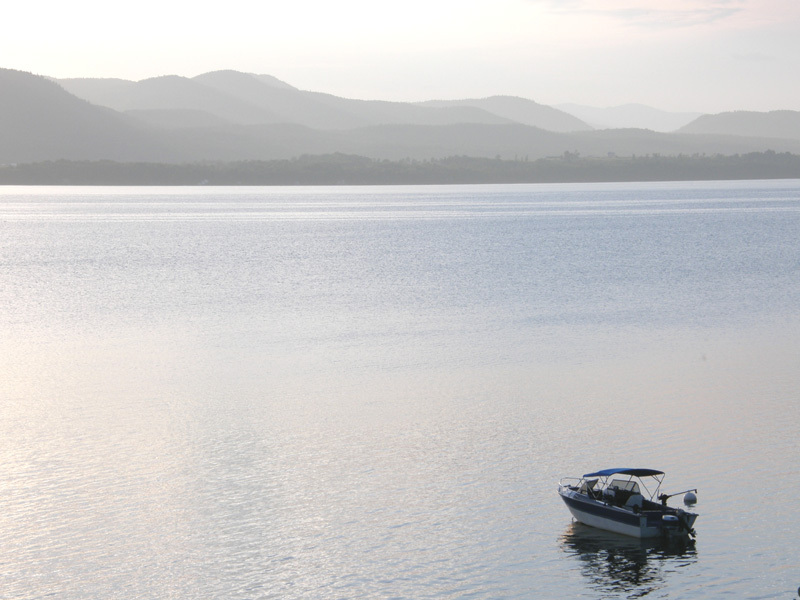 Champlain is the sixth largest freshwater lake in the United States with awesome access to the Atlantic south all the way to the Hudson River or north to Montreal. Here is an affordable waterfront property to renovate, rebuild or simply enjoy straight, listed at $349,349. Make this your gateway to the world of adventure and relaxation. For more information, info@maplesweet.com or see Maple Sweet's virtual tour. Whether your target is to escape from your full time residence for amazingly tranquil weekends, the sound of lapping waves, awesome swimming (two docks) or to fish for walleye, large mouth bass or perch (the latter scrumptious served as sashimi), here's your opportunity, with pear & apple trees, and even a grape vine to celebrate Bacchus.